Spain is consistently ranked one of the top travel destinations in the world, but if you're considering travelling there, you'll need to decide when is the best time to visit. The thing is, your trip to Spain will look and feel completely different depending on which region you visit and what time of year you travel. After all, Spain is the second largest country in Europe, with a wide diversity of climate and landscape - which means the weather can vary hugely from region to region. It's also the second most mountainous European country after Switzerland. In order for you to decide when to visit Spain, keep in mind each season's perks (lively festivals, sunny weather) and downfalls (crowds of tourists, hiked up hotel rates), as well as what it is you want to get out of your holiday. The best time to visit Spain is either in late spring or early autumn - especially if you're going to Andalucia or the Mediterranean coastal areas. Northern Spain is at its peak in the summer months (July and August), and central Spain is best visited in October or May. Winter weather isn't amazing anywhere in Spain, with some parts of the country even experiencing snow and ice. Visiting Spain in winter is great, however, if you're not too bothered by drab weather and you're looking to save money, as hotel rates and restaurant prices tend to go down then. Here's when you should visit Spain, depending on what you consider to be the most important part of your trip. Contrary to popular belief, not all of Spain is sunny and warm all year long. Likewise, summer is beautiful in parts of Spain, but it can be unbearably hot in other areas. 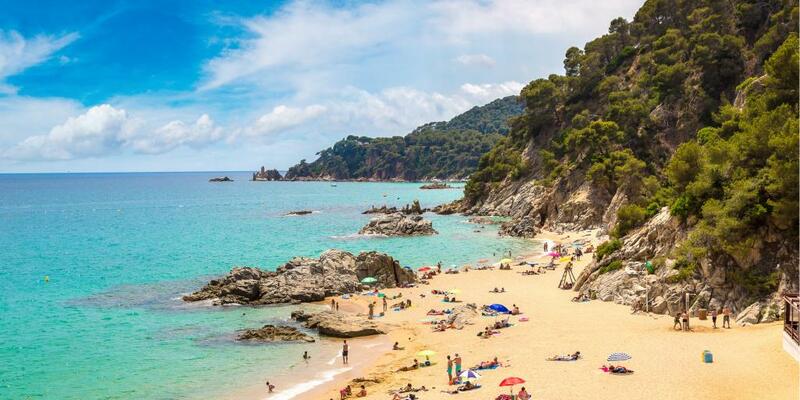 If your main reason for visiting Spain is to bask in the sunshine and warm weather, consider travelling to the beaches of Costa Brava in northeastern Spain during the summertime. This region is easily accessible from Barcelona, and the average high is a pleasant 76° Fahrenheit (24° Celsius) in June and 80° F (27° C) in July and August. Meanwhile, the super popular Mediterranean region (home to Barcelona, Valencia and Malaga) has lovely weather in late spring and early autumn - think May-June and late September-October. However, beware that it gets extremely hot in southern Spain at the height of summer - we're talking upwards of 100° F (37-40° C) in August. A summertime phenomenon locals call El Terral - a hot, dry wind that blows over the Mediterranean coast like a hairdryer - only adds to the discomfort! September to late November and January to March are known as the 'shoulder seasons' in Spain, which means they're less popular times for tourists to visit. 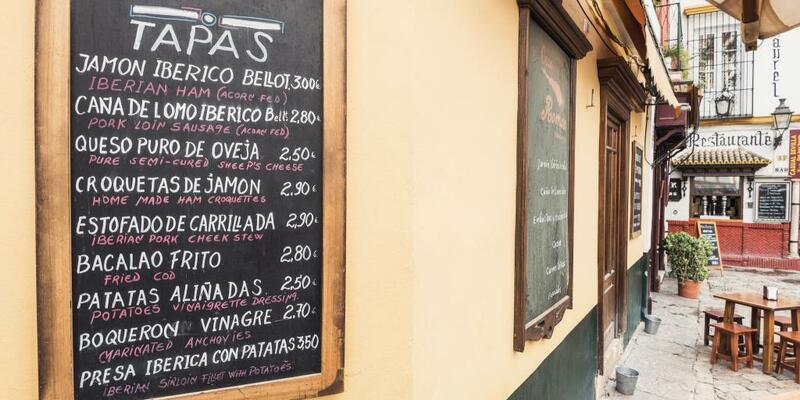 This is great news for travellers who are trying to stay on a budget; Spain thrives on the tourism industry, so during shoulder season the majority of hotels and restaurants will slash their prices in order to attract more people. Even the cost of flights to Spain is lower in the off-season, with November in particular seeing the cheapest prices. So if you're trying to save money, time your trip so that it falls outside of the normal summer and winter holiday periods. You should also book your hotel rooms a few months in advance to take advantage of the cheapest possible prices. If there's one thing Spain is famous for, it's the energy and spirit that seems to emanate from everyone and everywhere in the country. Want to truly immerse yourself in the Spanish way of life? Then plan your Spanish trip to coincide with one of the countless festivals and events that take place year on year. For something a little different, plan a trip to the town of Buñol in Valencia at the end of August to attend La Tomatina. This wild and one-of-a-kind festival sees tens of thousands of people throwing tomatoes at each other, turning the town into one big pile of red pulp. 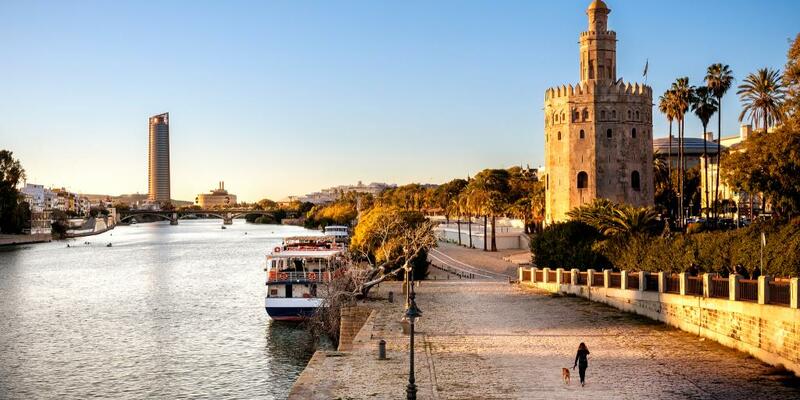 If you'd rather something a little less messy, consider going to Seville two weeks after the Semana Santa (Easter Holy Week). This is when the city hosts the Feria de Abril, a week-long celebration featuring lots of dancing, drinking and eating interspersed with fireworks, traditional horse riding and bullfighting. 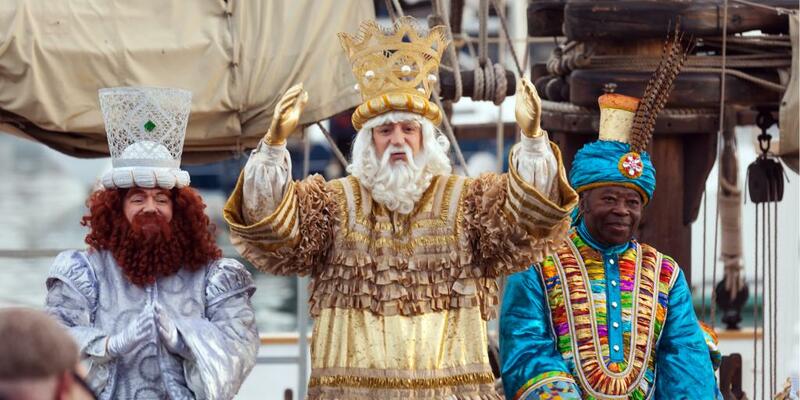 For more must-see Spanish festivals, read on! Crowds not your thing? Then January - February is probably the best time for you to visit Spain. Seeing as it's off-season, you won't find throngs of tourists invading some of the most popular destinations like Granada, Seville and Barcelona. That means less queuing and an overall more authentically Spanish experience. Unless you go to the Canary Islands, you probably won't be able to do any sunbathing in January and February. But the weather in southern Spain is fairly dry and manageable at this time of year, making it the perfect place to visit for a winter break. If you hate crowds, don't mind iffy weather and would rather not spend lots of money, January is a fine time to visit Spain. Since it's outside of peak tourist season, you'll likely get more bang for your buck no matter which region you go to, as hotel room rates and restaurant prices go down across the country after the Christmas holiday. There's also a handful of festive events going on at this time of year, including Three Kings Day (Dia de los Reyes) on the 6th. This holiday, which is also known as Epiphany, is Spain's version of Christmas day, with many families opening their gifts then rather than on 25 December. Members of the local council will march through the city, throwing sweets into the crowds for children and adults to catch. Despite the lack of beach weather, January is a merry - and relatively tourist-free - time to visit Spain. The weather in Spain in February is much like it is in January - some degree of chilly. Even in Andalucia, the highest temperature is about 60° F (16° C), and evenings can get down to the 40°s F.
That being said, there are plenty of good reasons to visit Spain in February, including some lively carnival parties in Cadiz, Madrid, and the Canary Islands to celebrate the beginning of Lent. And if you're into your music, plan a February trip to the city of Jerez, which hosts a massive two-week-long flamenco festival every year starting in February and finishing in early March. While the evenings are still cool in March, this is the month when things begin to warm up in Spain. The sea may not be quite warm enough to swim in - even the Mediterranean - but walking on the beach should be pleasant around this time of year. 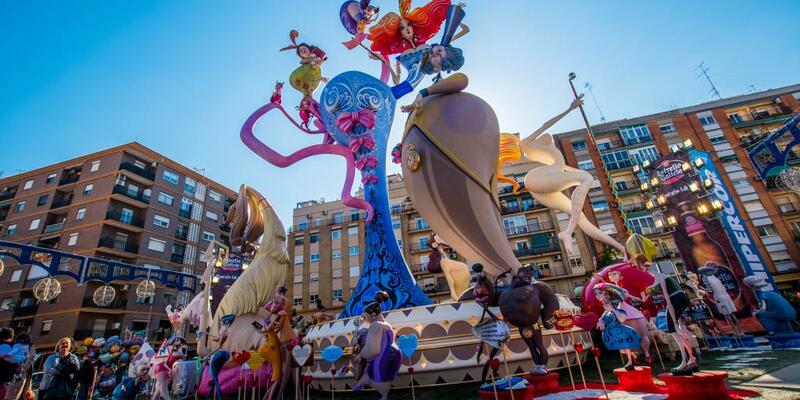 Plus, there are lots of cultural events and festivals to experience in March, including Valencia's unique Las Fallas festival in mid-March. During this riotous week, the city is -quite literally - set ablaze with fireworks, gunpowder and bonfires, while live music and a healthy dose of satire give the festival a fun and humorous touch. The main event sees hundreds of ninots (dolls made from papier-mache, wood or cardboard) set alight in a mass fire called La Cremà (the burning). Keen to get stuck into the real-life culture and traditions of Spain? Then you could do much worse than Spain - and Valencia in particular - in March. In our experience, April is one of the best months to visit Spain, for numerous reasons. By April, the majority of mainland Spain's most popular beach towns - Marbella, Alicante, Malaga - are warm enough to do some sunbathing. And things tend to be pretty sunny and dry in the Balearic Islands as well, with Ibiza, Mallorca and Menorca ushering in the springtime. 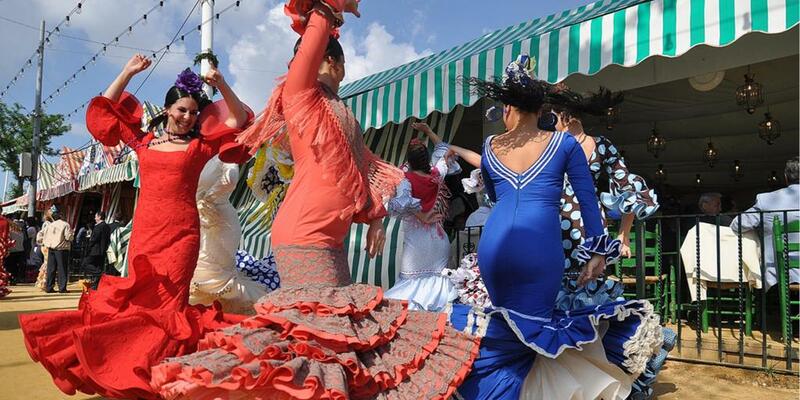 Seville's Feria de Abril is enough of a reason to travel to Andalucia in April, as the city comes to life with traditional flamenco music and dancing. Meanwhile, at the end of April, the town of Trujillo in Spain's Extremadura region hosts the Feria del Queso - a three-day-long festival celebrating all things cheese. 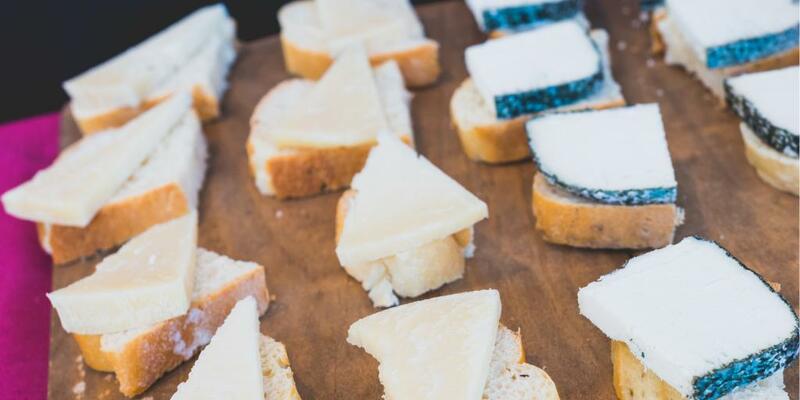 If you consider yourself a foodie - or a cheese fan, in particular - you'll be blown away by the sheer number of cheese varieties available to sample. In terms of weather, May is yet another gorgeous month to visit Spain, with temps on the rise and the sun shining more and more. Clear, sunny skies and warm days are the norm by now in Barcelona, with average temperatures reaching about 20°C (68°F). It also roughly marks the beginning of bullfighting season in Spain, a centuries-old tradition that's either thrilling or horrifying, depending on your personal standpoint. 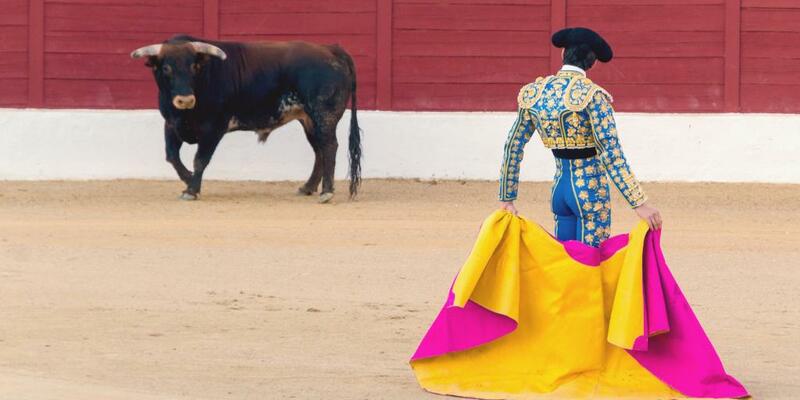 If bullfighting isn't your idea of a good time, there's plenty of other activities going on in May, including the Primavera Sound Festival in Barcelona, the San Isidro Festival in Madrid, and the WOMAD World Music Festival in Caceres. Plus, since the official summer holiday hasn't begun yet, most destinations are less busy in May than they are in June, July and August. Now that many schools have broken up for the summer holidays, expect flights, hotels and food in Spain to be pricier than before. However, it's worth spending a bit more to take advantage of the sheer variety of fun things going on - not to mention the sublime weather you'll experience across the country. By June, Madrid will already be pretty hot and dry. If you're visiting the capital then, consider making air conditioning a priority when looking for accommodation. 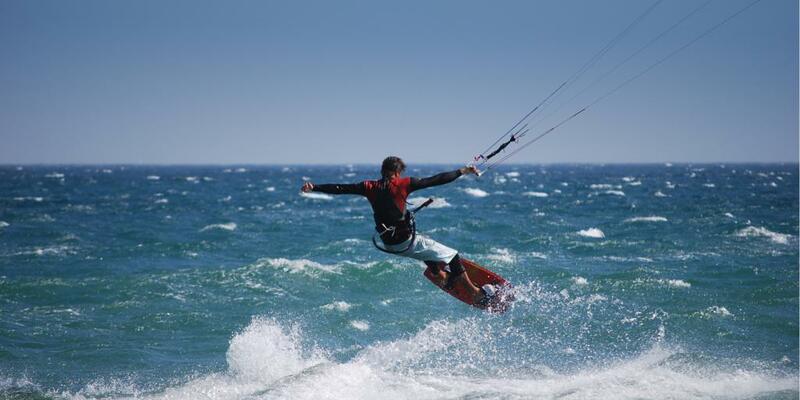 And if you're considering visiting Spain to do some surfing or kite-surfing, now is a fantastic time to go to Tarifa - one of the most popular destinations in the world for wind sports. You'll enjoy balmy days, cool evenings, and the city's laid-back surfer lifestyle, before the masses of late-summer visitors pile in. July is the absolute busiest month for most Spanish destinations, which makes it both a good and a bad time to visit. On the plus side, all the restaurants, bars and hotels will be open and fully functioning, and you can expect a lively, fun-filled atmosphere across the country. But visiting Spain in the high season also means you'll probably have to spend more on hotel rooms, and you can expect to hear lots of English wherever you go. In any case, if you do decide to visit Spain in July, you'll definitely need to book your accommodation well in advance, before hotels fill up completely. Instead, head north to Galicia, Asturias and the Basque country, where the weather is pleasant (in the high-teens to mid-twenties Celsius) without being unbearable. August is the perfect time to go on a road trip through northern Spain, sampling all the delicious pintxos you can manage along the way. For a unique cultural experience, time your trip to coincide with the Semana Grande, which takes place in Bilbao and San Sebastian every August. 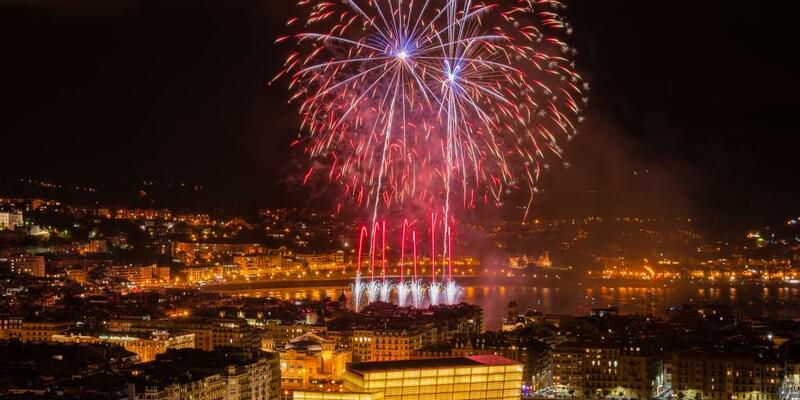 During this festival, you can expect to see traditional Basque sports, giant puppet dances, and a spectacular fireworks competition lighting up the night sky every evening. With temps beginning to cool down again in September, Spain's fiery summer destinations like Madrid and Cordoba are no longer too hot to handle. Now's your chance to take advantage of those amazing cities without feeling like your face is about to melt off! September is also a great time to sample some of Spain's finest wines during the harvest season. 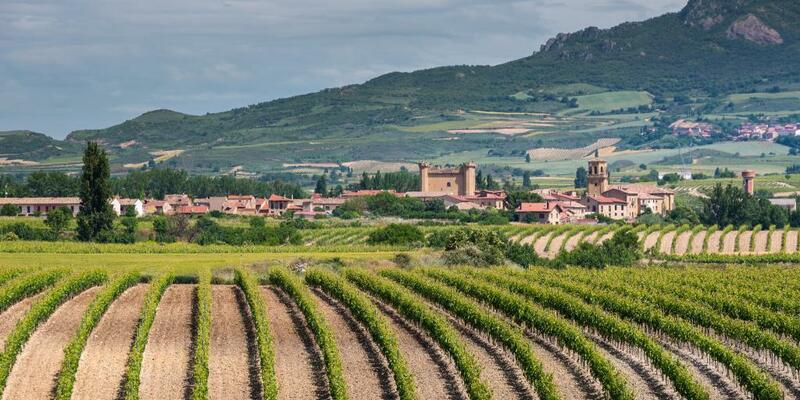 If you love wine or simply want to immerse yourself in the country's wine culture, book a trip to Logroño, Spain - the capital of the La Rioja region - in the third week of September. This is when the San Mateo festival takes place - a week of celebrating the local wine harvest with music, festivities, and lots of drinking. A highlight of this event is the crushing of the grapes, during which you're invited to squish Rioja grapes with your own feet. Summer is well and truly over by October, which means we're back in shoulder season. This is a lovely time to visit Andalucia, seeing as the weather is mild, the cities are a bit quieter, and the beaches are still relatively sunny. You can even still sneak in some sunbathing if you head to Mallorca, where the temps are still in the mid-Twenties Celsius. Sporty types might want to head to northern Spain in October, which marks the beginning of surf season. Just make sure you wear a wetsuit! 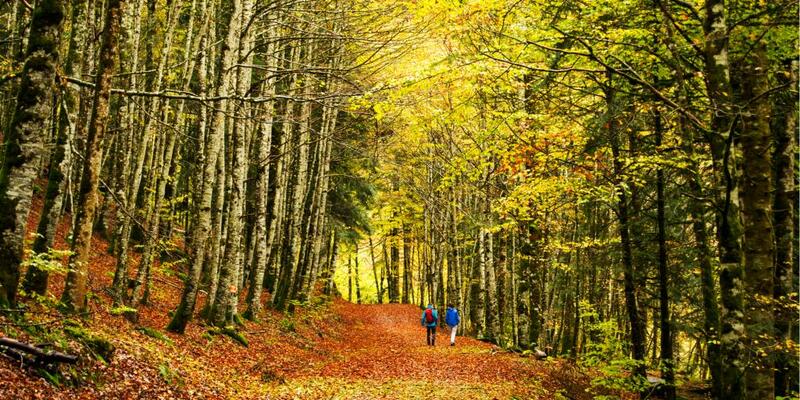 If, on the other hand, you want to embrace the autumnal beauty of Spain, there are quite a few places to spot some stunning fall foliage. One highlight is Irati Forest, situated on the northeastern border with France, which boasts some particularly vibrant hues around this time of year. With its slow pace and refreshingly crisp weather, November is a fine time to go for a road trip around Andalucia, perhaps visiting some of the famous Pueblos Blancos (White Villages) in the hills. 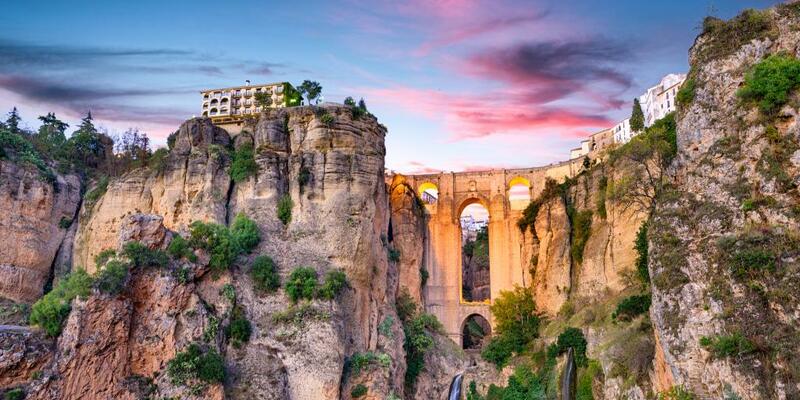 While you're down there, make some time to visit Ronda, which Ernest Hemingway described as 'the most romantic town in Spain' and which animated film fans will recognise from 2017's Ferdinand. You can also stop by the nearby Jerez, where they host the International Sherry Festival every November. Fancy more of a city break than a full-blown holiday? Then book a trip to Madrid to see the autumn colours in El Retiro Park and witness the international Jazz Festival. With Christmas on the horizon and festive spirits at an all-time high, December in Spain is almost as lively and exciting as summer. Plus, thanks to the country's size and variety of climate, you can have any type of holiday you want in December - from ski trips to beach breaks, and everything in-between. To get into the holiday spirit, head to Barcelona or Seville, where you'll find some the most delightful Christmas markets in Europe. 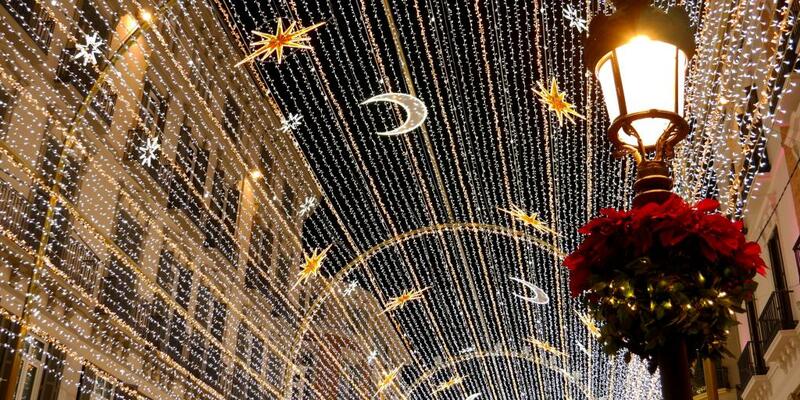 Pay a visit to the city of Malaga and you'll see a seriously impressive display of fairy lights on the main street, which draws thousands of spectators to the city centre every evening in December to watch it become illuminated. 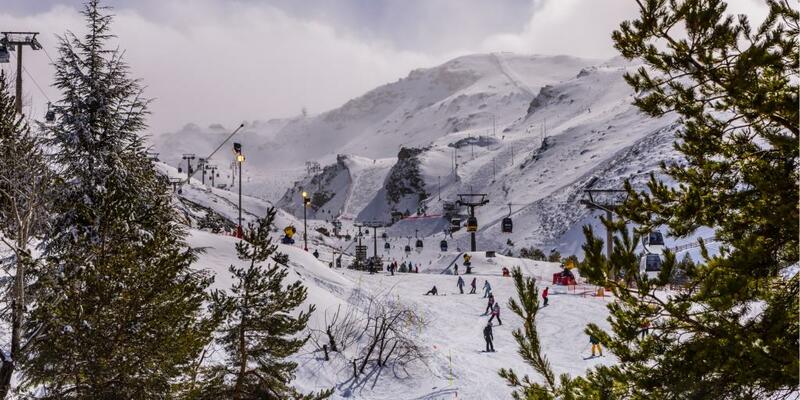 Meanwhile, December marks the beginning of ski season in Granada, with the snow-capped Sierra Nevada opening up to skiers and snowboarders alike. And historic Zaragoza in northeast Spain is a great place to stay while visiting the nearby ski resorts in the Pyrenees. If you've got a hankering for winter sun, book a trip to Gran Canaria, where the average December temperature hovers around the low 70s° F.
And wherever you decide to go, be prepared to take part in some Spanish New Year's Eve traditions, including eating 12 grapes at the stroke of midnight.